Learn more about Star Wars: The Force Awakens’ Starkiller Base and General Hux! Much like Lupita Nyong’o’s Maz Kanata being featured on the main Star Wars: The Force Awakens poster, another interesting piece of the episode VII puzzle is present, the deadly Starkiller Base, the primary weapon of the film’s First Order. 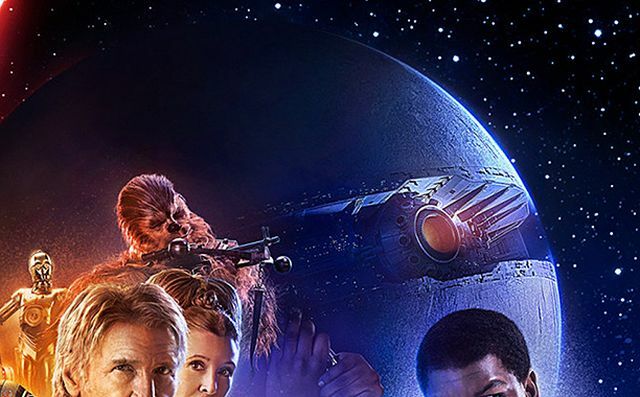 Speaking with EW, director J.J. Abrams confirmed that it is indeed the Death Star follow up on the poster and that it’s certainly seen as a successor to the Empire’s original battle stations. Potentially sitting at Starkiller Base is none other than Domhnall Gleeson’s character in the film, General Hux, a high-ranking member of the First Order and mostly a mystery to fans, until now. Gleeson goes on to reveal that, despite being on the same side, he and Adam Driver’s Kylo Ren aren’t on the best of terms. Opening in theaters on December 18, 2015, Star Wars: The Force Awakens is set 30 years after the events of Return of the Jedi, and features a new generation of swashbuckling heroes and shadowy villains, as well as the return of fan-favorite smugglers, princesses, and Jedi. You can read what the director and some of the cast members of Star Wars: The Force Awakens had to say about their characters this week,, including Harrison Ford on Han Solo, Carrie Fisher on Leia Organa, Lupita Nyong’o on Maz Kanata, J.J. Abrams on the villainous First Order, Andy Serkis on Supreme Leader Snoke, and the mythic status of Luke Skywalker in the film. Also, don’t miss the new preview that aired on ABC!